One of today's most influential minimalist advocates takes us on a decluttering tour of our own houses and apartments, showing us how to decide what to get rid of and what to keep. He both offers practical A popular minimalist blogger and author of The More of Less shows you how to methodically turn your home into a place of peace, contentment, and purposeful living. To ask other readers questions about The Minimalist Home, please sign up. My personal rating for this book (as far as how much I "enjoyed" it) would be a 3, but I am giving it a 4 star rating as I believe the book and its message has a lot to offer to anyone new to minimalism and the minimalism philosophy. I have been on the minimalist "journey" (geez, I sound like such a cliche, but whatever) for over a year now and I went at it pretty much the same way I go at most things...which is to say HARD. I have never been a hoarder (except when it comes to book hoarding, obviously), and I was always that person who maintained a clean house, and who regularly went through clothes and other household items for donation...but I still always felt like my environment was cluttered and thus stifling mentally and emotionally. After discovering minimalism and various minimalism blogs (including the author's) I felt inspired and completely overhauled my home, my belongings, and the way I spend, save, and donate my money. As a result, I have already done all the work outlined in this book and I felt like it had nothing new to offer me; HOWEVER, I went into this book knowing that might be the case; and that does not mean I don't think this book has a ton to offer other people who are in a different place in their journey. Having this book a year or so ago would have been a game changer for me and would have easily garnered 5 stars. Basically, in my opinion, the enjoyment and/or usefulness you get from this book will coincide with where you yourself are in life in relation to your "stuff" and how you feel about it. If you are a long term minimalist, you might enjoy this book as a refresher, although it might not have much (if anything) new to offer you. But, if you walk into your house and feel instantly heavy...you feel overwhelmed by the piles of miscellaneous mail and junk in your living room the minute you cross the threshold of your front door...you feel like you have NOTHING to wear despite having a closet filled so fully you need a winch to push clothes aside to see what you have...you can never find anything you need because you have too much crap in your junk drawer(s)...you have to turn sideways to get out of your car after you park in your garage (if you can even FIT your car in your garage)...then this book is for you. Now OBVIOUSLY, as I write this, I acknowledge that I am writing this from a position of privilege. I recognize it is a luxury to be fortunate enough to be in a position to consider "too much stuff" a problem and the riddance of that stuff an accomplishment. And I am not trying to pretend otherwise. Wow, this book helped me with a momentous move. My husband and I are newly empty-nested after decades of kids and a mother-in-law on board in a much larger house than our new 2 bedroom condo. It's not easy to scale back. That means you have to throw away things you thought you would always have. But, as Joshua Becker so effectively points out, they are just things! He made me realize that we should use things and treasure people. Not the other way around! A simple, yet revolutionary thought process. Becker has a helpful step-by-step approach to achieving the minimalist home of your dreams. He goes room by room and you better believe I used his method for cleaning out my house. We couldn't be happier in our new urban, industrial loft. It is easy to clean and entertain friends. A real breath of fresh air in the city. Short version: don’t do this to yourself, folks. Just don’t. There are better books about minimalism (and/or decluttering) out there. Long version: the thing is, I actually usually like books about minimalism and about downsizing your life, particularly the ones that offer practical solutions with regard to decluttering one’s life. They can be very soothing. They show the reader that change is possible, that others I received an e-copy of this book from NetGalley in exchange for an honest review. Long version: the thing is, I actually usually like books about minimalism and about downsizing your life, particularly the ones that offer practical solutions with regard to decluttering one’s life. They can be very soothing. They show the reader that change is possible, that others have been there before and that there is no shame in having clutter in your home now, because you can get better. This book isn’t like that. I mean, I agree with the basic tenets of what Becker writes. Having less stuff makes it easier to clean up, means fewer things to concern oneself with, means that looking for things is less complicated because you know where everything is, etc. Having more does not equal being happier. Capitalism, as a system, incourages one to buy as much possible and places value on what one possesses; and then, people tend to hold onto things they no longer need because they might be useful, but they rarely turn out to be. And so on. This is perfectly reasonable. But the book doesn’t stop at that. And it doesn’t stop at painstakingly going over every single room in the house to basically tell you to throw away (donate, recycle, whatever) what you don’t need and declutter, declutter, declutter. If the book consisted only of that, it would be rather boring and very repetitive (so many empty words! ), but not quite so annoying. Unfortunately, the author peppers his text with much judgment and condescension. “I have a friend with a bookcase in her living room. The last time I visited her, I noticed the following on its four shelves: thirty-six books, eleven figurines, twenty-four photos, two souvenir coffee mugs, ten snow globes (and it wasn’t even winter), various flower arrangment in vases, and a small sampling of candles. Yes, I actually wrote down the inventory… when she wasn’t noticing. I feel so sorry for that woman and her bookcase. How could she not organize it more thoughtfully for her “friend’s” benefit. Well, thank you for considerately including this detail in the book, then. This may not necessarily be so judgmental, but… what? Not important? How? What? 2) But also—we do know that people have been trying to improve their appearance since forever, basically? It’s not a new phenomenon. 3) In conclusion, how dare they. Obviously they are not minimalists. Minimalists do not have such trivial pursuits. And so on, and so on. Don’t own stuff, don’t own mismatched stuff, don’t put it in a large (although beautiful) house, because Mr. Becker will be there to judge you. “The problem with most under-the-bed spaces is that they quickly become places for hoarding more and more unnecessary things. Our closets are full, our drawers are full… and the next available space is under the bed. So that space quickly collects countless items, seemingly never to be seen again by human eyes. Okay, how does that make sense? There is a point to having a nightstand, and that is precisely to collect things you use while in bed. I could maybe understand keeping one book or a magazine under the bed over night (because maybe there is a glass of water on the nightstand and we were too sleepy to navigate around it), but any longer? Nope. Business files? Boxes of keepsakes? Are you kidding? How does one clean under the bed, then? (I take the fragment above to mean they just lie on the floor.) This is exactly what pieces of furniture such as file cabinets were invented for. Please don’t. Please keep the grass. Possibly some shrubs. Do this for your planet. Then there is a chapter dedicated to the idea that one should buy a small house rather than a large one, because—well, you know, minimalism, and big spaces call for more clutter, I guess. You know… I do get the thought process behind this concept. I do. Larger does not have to equal better. Living in a smaller space may be more comfortable (it’s easier to clean it up, for example). And in the later part of this chapter, where Becker talks about considering downsizing one’s house in response to changes in life (children moving out of the house, getting older and less mobile), it’s all quite reasonable. But at the same time, who are those people who just go around buying huge expensive houses? Because in my generation, in order to buy a house, most of us have to go get a huge bank loan. Who is this book even addressed to? How wealthy do you have to be to afford Becker’s kind of minimalism? 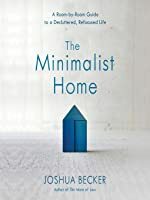 Towards the end, Becker explains that minimalism has made it possible for his life to be more open to his family, to thoughtful and mindful experiences, and to Jesus. I’m sure there’s nothing Jesus would appreciate more than judging people on the contents of their bookcases, folks. I received this book from Netgally in exchange for an honest review! Have never heard of the author, I thought it would ve refreshing. But sadly was not. It was a very repetitive, and I found his writing style a bit messy. He kept saying things like "in the next chapter". "We'll talk more in the coming pages" etc.. which really bother me. He talks about how to declutter your house room by room, and its mixed. With his experience and real life testimonies,he also added some data about the average I received this book from Netgally in exchange for an honest review! Have never heard of the author, I thought it would ve refreshing. But sadly was not. It was a very repetitive, and I found his writing style a bit messy. He kept saying things like "in the next chapter". "We'll talk more in the coming pages" etc.. which really bother me. He talks about how to declutter your house room by room, and its mixed. With his experience and real life testimonies,he also added some data about the average American.. so it's pretty much the same book as most of the subject. This book would benefit from having some charts and images to help the reader visualising his home office, or his house and the kids rooms, etc. I think this book is better suited for people who are a bit curious on the subject. The structure of the text is also a bit strange, at 83% we read the acknowledgements, at 85% the notes from the chapters, at 93% there are more testimonies, which could've been better suited in the main body of the book. At about 80% he starts defining what minimalism is a little more detail, which could've been better at the introduction. So I find quite ironic that the book is very messy cluttered with words that are not necessary. Debra Interesting, my hardcover book doesn't have those testimonials you are speaking of. Joshua Becker has been in the “minimal” business for about 10 years. He has a website where you can get lots of tips and advice, including a newsletter sent to your inbox every so often. He has written other books but this one is sort of the culmination of his life’s work. He has been on TV, speaks all over an Many thanks to NetGalley, Waterbrook and Multnomah, and Joshua Becker for an ARC in exchange for an honest review. My opinions are 100% my own and independent of receiving an advanced copy. 3 stars for those who have already downsized and don't need advice, but 4.5 for those who have a house full of stuff and need inspiration. I've read so many books on minimizing belongings and housing that this seemed like a rehash of what been published only with more theory and philosophizing and a smidge of a spiritual bend. I felt the author sometimes got a little "judgey" when observing others' households but there were a few insights I thought were valid. For example, as one who goes to a lo 3 stars for those who have already downsized and don't need advice, but 4.5 for those who have a house full of stuff and need inspiration. I've read so many books on minimizing belongings and housing that this seemed like a rehash of what been published only with more theory and philosophizing and a smidge of a spiritual bend. I felt the author sometimes got a little "judgey" when observing others' households but there were a few insights I thought were valid. For example, as one who goes to a lot of estate sales as entertainment, I'm always astounded at how much "stuff" people have collected which seems to have absolutely no value to anyone but them. This perplexed me until I read this from Becker: "In psychological theory, the "endowment effect" [original text was italicized] is our tendency to consider an object more important than it really is simply because we own it. ... It's OURS!" I first heard about Joshua Becker while reading Cozy Minimalist Home. In it, Myquillin Smith talks about Becker’s first (very popular) book, The More of Less, and how it inspired her to look at her house and her possessions in a new, more minimalist, light. I’ve never read The More of Less, but when I saw that Becker was coming out with a new book, I jumped on the chance to read it. 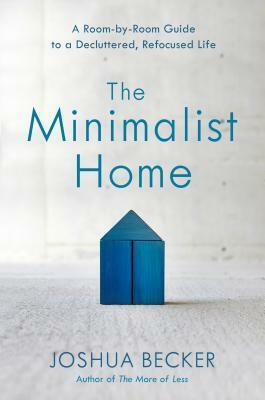 The Minimalist Home is a helpful and motivational read, though it’s not perfect. The book is divided into twelve se I first heard about Joshua Becker while reading Cozy Minimalist Home. In it, Myquillin Smith talks about Becker’s first (very popular) book, The More of Less, and how it inspired her to look at her house and her possessions in a new, more minimalist, light. I’ve never read The More of Less, but when I saw that Becker was coming out with a new book, I jumped on the chance to read it. The Minimalist Home is a helpful and motivational read, though it’s not perfect. The book is divided into twelve sections. The first two sections give an overview of minimalism, as well as advice on how to eliminate items from your house (have goals for your home’s spaces, start cleaning out the easy spaces first, involve the whole family, have fun with the process, etc.). *** I also appreciate that he talks about living a minimalist digital life, giving tips for tidying up the computer desktop, digital files, phone apps, etc. Not everyone talks about this, but it’s important. I do have a couple small gripes with this book, though. Becker can be long-winded and repetitive, taking way too long to make a point that’s already understood. The book is also a little heavy on the self-promotion. I get that Becker wants to make his book tweetable and build a brand, but I grew tired of the #hashtagthis! suggestions and the repeated mention of his accomplishments (I REPEAT, I HAVE INTERNATIONAL CLIENTS!). The biggest drawback for me, though, is how serious the book can be. Don’t get me wrong, this is still a quick read and I appreciate with the overall message. But Becker tends to use intense change as the motivation to minimize. He repeatedly gives examples of how people’s lives are transformed from minimizing. Look at this lady: she cleaned out her house! Then became a missionary to poor countries!! Then adopted an orphan from Guatemala!!! Now she’s fulfilled and happy!!!! I agree that minimalism has the power to transform, but I also think it’s okay to go into the process with lower expectations and smaller, more realistic goals. I’m not looking to adopt a refugee from Syria. I just need to be able to find my keys, you know? Still, I enjoyed this book. It gives clear step-by-step advice that makes minimizing feel doable. I didn’t always love the seriousness of Becker’s anecdotes, but I did appreciate his message. This is an important and helpful guide to eliminating the excess in our lives so we can live more fully. Thank you to Joshua Becker, WaterBrook, and Net Galley for the ARC! I thought The Minimalist Home was going to be about reducing clutter and organizing, which it is, but it's more. I was surprised at how much it got me thinking. Joshua Becker begins by having you think of your vision for your life - then think about your home and the purpose for each room. What do you envision doing there? Handle every item in the room and decide if it supports that purpose. If it doesn't, get rid of it. It's missional when you think of it that way. I didn't actually go through I thought The Minimalist Home was going to be about reducing clutter and organizing, which it is, but it's more. I was surprised at how much it got me thinking. Joshua Becker begins by having you think of your vision for your life - then think about your home and the purpose for each room. What do you envision doing there? Handle every item in the room and decide if it supports that purpose. If it doesn't, get rid of it. It's missional when you think of it that way. I didn't actually go through the process as I read the book, but I did begin to clear out old piles in various places in my home. A particular thing I appreciated is that he never encourages the reader to launch into minimizing without considering the other members of the household. It's not heavy-handed, but almost every chapter mentions our culture of materialism and consumerism. Minimalism involves both getting rid of excess as well as adopting new habits to keep it from creeping back into your life. One good quote: "a minimalist home can be a home that's always primed to say, 'Welcome.'" Borrowed from the library, because if you're spending money on a physical copy of a book on minimalism, what are you even doing? Very brief read, completed in a day. I also donated or tossed about 35 things while reading it, even committing so much as to drive to the Goodwill and arrange a time to bring clothes to a high school's donation drive. What I like about this author's Facebook page, where I discovered this book, is that it feels so much less preachy and smug than many other minimalist pag Borrowed from the library, because if you're spending money on a physical copy of a book on minimalism, what are you even doing? What I like about this author's Facebook page, where I discovered this book, is that it feels so much less preachy and smug than many other minimalist pages or groups I've tried to get into. There's a realness, that not everyone only wants one towel or two plates, but that you probably have too much of everything and wouldn't it be nice if you could actually find the things that matter? The book makes and returns to one very good point that stuck with me - if your home has things you really care about, either because they're beautiful or sentimental, why would you want so much lesser stuff to detract from them? I have a hard time getting rid of theoretically useful items or things I have attachment to, and this really helped me think more critically about just how many things I seem to maintain the exact same level of attachment to, and is that really true? After having read quite a few books on minimalism, decluttering etc., I think I can safely say that this is by far my favourite one of the kind that I have read. It goes through the home room by room, provides you with helpful checklists to find out whether you have reached a status of being comfortable with the progress you made in said room, all without coming off as preachy or promoting 100% extreme m I received a free copy from the publisher through NetGalley in exchange for an honest review. Very encouraging book on how to simplify your life so you can enjoy your life even more! And he doesn’t resort to instructing you to talk to inanimate objects. That’s amazing in itself in this day and age. I wasn’t sure what to expect from this book, but it’s written by a very popular minimalist blogger, so I was interested in participating in the launch team. The book begins by asking the reader to imagine a vision for their life and the purpose of each room in their house. Imagine the perfect room, in a way. The reader is asked to determine if every item in said room supports the purpose of that room. If it doesn’t, there’s no purpose for it, so it can be removed. It sounds like something that co I wasn’t sure what to expect from this book, but it’s written by a very popular minimalist blogger, so I was interested in participating in the launch team. The book begins by asking the reader to imagine a vision for their life and the purpose of each room in their house. Imagine the perfect room, in a way. The reader is asked to determine if every item in said room supports the purpose of that room. If it doesn’t, there’s no purpose for it, so it can be removed. It sounds like something that could be easier said than done, but it’s the basis for this book, which goes step by step through each room in the (average) house. The author is quite descriptive about how best to determine what to keep and what to throw out or give away. This book contains tips that would be very helpful for people looking to de-clutter or downsize their home. The Minimalist Home is a relatively short book, around 200 pages. It’s divided into three parts (You, Spaces, and Future). The chapters focus on different rooms in the house. Some information is a bit repetitive from chapter to chapter, and I found myself skipping around. Also, at times, it felt like the author was talking down to the reader (making it feel like it should be his minimalist way or no way at all), which could turn some people off and prevent them from finishing the book. There wasn’t as much of a Christian angle to it as I’d expected. The book did give me points to ponder, such as whether or not the things I’ve accumulated over the years are being used and whether or not they’re necessary. I am a fan of Joshua Becker. One of my favorite books of his, that I re-read often, is Simplify: 7 Guiding Principles to Help Anyone Declutter Their Home and Life. I've also read The More of Less: Finding the Life You Want Under Everything You Own & Inside-Out Simplicity- both great books. This book focused specifically on decluttering and minimizing in each individual room of one's home. I can see how this could be a fabulous reference guide for someone new to the minimalist lifestyle or som I am a fan of Joshua Becker. One of my favorite books of his, that I re-read often, is Simplify: 7 Guiding Principles to Help Anyone Declutter Their Home and Life. I've also read The More of Less: Finding the Life You Want Under Everything You Own & Inside-Out Simplicity- both great books. This book focused specifically on decluttering and minimizing in each individual room of one's home. I can see how this could be a fabulous reference guide for someone new to the minimalist lifestyle or someone who is overwhelmed and doesn't know where to start. I appreciated how he went from room to room with step-by-step instructions/suggestions on where to start in each room. At the end of each room chapter he gave a "Minimizing Checklist"- much like a summary checklist of what he had gone through in the chapter. I thought that was helpful. Overall the book was exactly what the title says - A Room-by-Room Guide to a Decluttered, Refocused Life. Having read several of his other books, this book seemed to repeat a lot of what I've already read and have put into play in my own life, but that is understandable when it comes to teaching about minimalism. He had a lot of quotes that I highlighted because they spoke to me. If you are thinking of minimizing or need help decluttering your home, this book can help. He has it set up in a easy method to follow and he doesn't force anything. A person can minimize as much or as little as they feel comfortable with during that specific season in their life. "Ask yourself what is really important and then have the courage to build your home and life around that answer." "Just because you have the space doesn't mean you have to fill it with stuff." "Never organize what you can discard." "A home that is filled with only the things you use and love will be a home that you love to use." I appreciated this book for its practical advice and low-key tone. It gave me two “a-ha” moments: Pulling into my messy garage at night was a terrible welcome home, and digital clutter (emails, unused apps, outdated Pinterest boards) is still clutter. Thank you to the publisher and Edelweiss for providing me a free copy of the book. The fact that I got it for free does not influence my review in any way. Almost 10% of the book was taken up by introductions and "why"s. I swear, I read some variation of the phrase "before we start" at least 5 times. Then I just skipped to the second chapter.... oh wait, nope, that one's also pretty much the same. So now we're a fifth into the book and haven't even started thinking about how to declutter, great. W Thank you to the publisher and Edelweiss for providing me a free copy of the book. The fact that I got it for free does not influence my review in any way. No one who knows my habits of book collecting would figure me to be someone who could argue for a minimalist home, and the only thing that keeps my clutter from being worse is a simple absence of space to fill with things rather than any sort of minimalist view towards the acquisition of possessions. At times, my dutiful collection of a massive library  has led to entertaining situations to wonder about the sort of possessions that we are most likely to hoard. There are ironies in the fact that a book about decluttering and reducing possessions is likely to be a part of increasing clutter relating to the possession of books that continually increases  despite my own occasional and generally half-hearted efforts to arrest this increase. Like many people, I struggle with the issue of clutter, and like many people this clutter leads to unnecessary duplication of items and the waste of significant effort in trying to find things that I am looking for, as well as the concern that exists over the preservation of my mountain of stuff. This book of a bit more than 200 pages is divided into three parts and twelve chapters. The author begins with a look at the reader, starting with an appeal for the reader to engage in a minimalist makeover (1) along with a discussion of the Becker method at removing clutter from one's life (2), something that is repeated often with varying degrees of emphasis throughout the book. The second part of the book takes a systematic look at places in one's house where clutter can be removed, starting with the living room and family room (3), moving to bedrooms and guest rooms (4), seeking a simple and iconic look by cleaning one's closets and "mudroom" (5), making a clean sweep of the bathrooms and laundry rooms (6), decluttering the kitchen and dining rooms by removing specialized items and taking control of surfaces (7), freeing the mind by cleaning the home office (8), unburdening oneself from past hobbies and too many toys (9), and clearing out the garage and yard (10). After a special section for maintaining one's minimalistic approach, the author closes with a look at the future with chapters on advising people to get a smaller house than one can afford to reduce various costs (11) and a discussion on how changing one's lifestyle to a more minimalistic one has implications and repercussions in other aspects of our lives (12). To be sure, the author engages in a slight bit of overselling his point. It is natural and human for writers to think that what they are talking about is something of pivotal and even universal importance that is being ignored or neglected, and at times the author seems like an evangelist for decluttering rather than a minister for Christ who happens to urge believers to live in a more simplified manner. Given that the author has written multiple volumes on this subject, that impression seems to be an accurate one. Even so, the author is correct that far too many of us have far too many things and that our things own us as much as or more than we own them. Likewise, our ability to show hospitality and generosity is often hindered by our clutter, both over our shame and concern about being judged as hoarders as well as in the fact that our acquisition of things and stuff hinders our ability to be open-hearted to those who go without. Even if I think the author is guilty of some excess in trying to make his point, it must be conceded that the author's advice is timely and wise and should be taken by a lot more people. As the title suggests, Joshua Becker shows the reader, step-by-step, how to declutter and minimize each room in the home, including the garage and the yard. He continues with the theme of "less is more," as he has in previous books. He also explains what minimalism is and what it isn't, as well as the benefit of the minimalist lifestyle. I've been drawn to minimalist information and "how to" books for many years. Though I have not embraced the minimalist way of life fully, as of now, I am definitely moving in that direction, and over the years have kept fewer possessions. Each time I read one of Joshua Becker's books, I am once again motivated to declutter more and keep less durable goods. I found this book equally motivational and fascinating. It's a great read for anyone interested in the subject of minimalism, and a very practical guide for those who want to begin to live a more minimalist life. Good motivational book but a lot of this information is in his blog if you follow it. Have been trying to minimalize for years and it is a work in progress. The best reminder: "It feels better to do stuff than to have stuff." Time and money are both freed up with less stuff. I will never get to 33 items of clothing, however! An upbeat, comprehensive, step-by-step guide to creating a more fulfilling life by minimizing. Success stories, lists, and room by room suggestions enable the reader to feel inspired and not overwhelmed by what could otherwise be a daunting project..
Joshua Becker took his 10+ years of experience writing about minimalism and packed it all into these 200 pages. I have never read a more practical, step-by-step guide to decluttering your home. I would recommend this book to anyone but especially to moms and dads who want to get a handle on their stuff so they can spend more time on what really matters. - Minimalism isn't about removing the things you love. It's about removing the things that distract you Joshua Becker took his 10+ years of experience writing about minimalism and packed it all into these 200 pages. I have never read a more practical, step-by-step guide to decluttering your home. I would recommend this book to anyone but especially to moms and dads who want to get a handle on their stuff so they can spend more time on what really matters. - Minimalism isn't about removing the things you love. It's about removing the things that distract you from the things you love. - If there is one secret formula to living simply and clutter-free, it is this: believe it is possible and take the next step. For the past several years, I have been following Joshua Becker's blog. I have also read all of his books through this one. His new book, The Minimalist Home is full of great information for anyone wanting to declutter and re-focus their life. When I read Becker's first books, we were getting ready to move and I knew I needed to get rid of stuff. His encouraging books and blogs helped us pare down and make that move. What we didn't know then was that we would make 3 more moves in a short time spa For the past several years, I have been following Joshua Becker's blog. I have also read all of his books through this one. His new book, The Minimalist Home is full of great information for anyone wanting to declutter and re-focus their life. When I read Becker's first books, we were getting ready to move and I knew I needed to get rid of stuff. His encouraging books and blogs helped us pare down and make that move. What we didn't know then was that we would make 3 more moves in a short time span. Each time, we pared down a little more. We have now been in this house for three years. . .and we were starting to pick up some clutter again after family members passed away. We knew we needed to once again declutter, which is why I wanted to read The Minimalist Home. Becker is so encouraging and clear in his method of walking you through decluttering your house that I think he makes the process enjoyable. Besides his how-to information, at the end of each chapter, Becker has a checklist to work through. Besides his own minimizing story, each chapter also includes a lot of testimonials from other people who have decluttered. I find it especially encouraging to read stories of others who have done this successfully and how much more joy their life has since doing it. I enjoyed The Minimalist Home so much. Becker is conversational in his writing in that I can almost feel him coaching me on. I find the methods easy to follow. I worked through much of the book and just have my office and the basement to finish decluttering after Christmas. I would encourage anyone who wants to live a simpler life with less stuff to give The Minimalist Home a try. It may seem overwhelming but when decluttering is broken down into the chunks that Becker suggests, it is so much more doable. I highly recommend it, not just to eliminate the excess stuff. . .but to head towards the life that you were created to live with time to do more activities that you want to do. This book caught my eye because about 8 years ago, I was a homeschool mom blogger and I came across a 40 Bags in 40 Days Lenten challenge. Each day for the forty days of Lent, you fill one bag with stuff to donate. It changed my life! Having less stuff was very liberating! It was easier to keep my house clean which meant I had more time for other interests. A few years later, the Kon Marie Simple Art of Tidying Up came out and I spent hours picking up my things and deciding if I loved them or This book caught my eye because about 8 years ago, I was a homeschool mom blogger and I came across a 40 Bags in 40 Days Lenten challenge. Each day for the forty days of Lent, you fill one bag with stuff to donate. It changed my life! Having less stuff was very liberating! It was easier to keep my house clean which meant I had more time for other interests. A few years later, the Kon Marie Simple Art of Tidying Up came out and I spent hours picking up my things and deciding if I loved them or not. The biggest change this brought is that my husband embraced the idea of rolling his t-shirts which allowed him to see ALL of them when he opened his drawer - he was so excited about this that he has actually brought other men (who wanted to see) his rolled t-shirt drawer and they all exclaimed about how it must make packing a breeze and eliminate wrinkles when traveling. Joshua Becker has written the newest book that will encourage Americans to have less stuff. Joshua encourages us to realize that having less stuff will allow us more time to pursue other interests. What I liked most about this book was that he encourages you to get the whole family involved and talk about what to get rid of and why it's important. His advice on talking about it as a family was very helpful and his method of looking at stuff as Benefit or Burden was insightful. The Minimalist Home sets up a plan to tackle your home room by room or space by space. There are checklists and action plans for each room that I found really helpful. It's been five years since I first encountered Joshua Becker and the concept of minimalism. It has been a slow process and a life changing experience for me. What I love about this book is that is answers so many of the questions I too have answered over the years in a methodical and practical way. The difficult thing to convey about minismalism is that it looks entirely different for each family and for each person in a family. But Joshua Becker does a great job explaining the philosophy withou It's been five years since I first encountered Joshua Becker and the concept of minimalism. It has been a slow process and a life changing experience for me. What I love about this book is that is answers so many of the questions I too have answered over the years in a methodical and practical way. The difficult thing to convey about minismalism is that it looks entirely different for each family and for each person in a family. But Joshua Becker does a great job explaining the philosophy without trying to dictate how specifically a person (or family) will determine what to keep and what to let go. Joshua Becker and his young family were introduced to minimalism 6 years ago during a short conversation with their neighbor. Since then, Joshua’s story and writing have inspired millions around the world to find more life by owning fewer possessions. Today, based on his thoughtful and intentional approach to minimalism, he is one of the leading voices in the modern simplicity movement reaching ov Joshua Becker and his young family were introduced to minimalism 6 years ago during a short conversation with their neighbor. Since then, Joshua’s story and writing have inspired millions around the world to find more life by owning fewer possessions. Today, based on his thoughtful and intentional approach to minimalism, he is one of the leading voices in the modern simplicity movement reaching over 1 million readers every month.